The diving Center offers diving at it’s best with good, reasonable prices. It’s run with a team spirit, so you might have to lend a hand with packing and stacking dive gear, boxes etc. The center offers individual lockers and a lockable dry area, so you can store you personal equipment at a safe place. The showers are close by to this area. There are two rinse pools. One separated especially for your regulators and cameras and another one for the rest of your gear. The dive center Sinai Divers Backpackers is lead by Thorsten Furler, with the support of our long term employee and Divema... read more vemaster Khaled. Location The Sinai Divers Backpackers Dive Center is located in The Christina Beach Hotel, hotel is situated directly on the waterfront. Instructors & Dive masters Multilingual instructors and dive guides work at a highly professional level with a healthy mixture of safety and fun while diving. Equipment Description Backpackers is completely equipped with Scubapro regulators, Scubapro and Mares stab jackets (BCD's), 12 ltr aluminum tanks for air and Nitrox, UWATEC dive computers and two-piece 5 mm neoprene wetsuits. Bauer compressors and a Nitrox membrane system produces Nitrox mix up to 40%. Read before you go The facilities of the center include the reception with equipment counter and a sitting area, filling station, workshop, showers/WC, rinsing pool and lockers for the guest equipment. The Sinai Divers team at the counter will welcome you and provide you with information on the daily diving excursions and the diving courses. They also help you with general questions about your vacation in Dahab. The little integrated shop offers useful diving accessories, common diver ...Continue readingfashion and a small selection of spare parts you may need. Located on the 1. floor of the center is the air-conditioned classroom and the marine biology station of RSEC. The roof top terrace offers a spectacular view over the Bay of Masbat and the Gulf of Aqaba with the mountain range of Saudi Arabia in the far distance. Equipped with sun beds, shades and a comfortable seating area it is the ideal place for dive briefings, hanging out with fellow divers and of course relaxing between and after your dives in real Dahab style. We offer daily dive trips by jeep to the famous and amazing dive sites around Dahab including The Canyon, Eel Garden, Bells, Blue Hole, The Islands, and Um Sid to name just a few. We especially enjoy introducing our customers to the less well known dive sites, such as Abu Helal, Sha'ab Said, Tiger House and El Shugarat. Small groups are accompanied by our experienced and multi-lingual dive guides who make sure that you will enjoy a relaxed day and have a wonderful diving experience. We can also arrange trips for families and snorkelers. Several times a week we head South with our fast and comfortable dive boat ''Ghazala VI'' to dive the pristine dive sites surrounding Gabr el Bint in the marine protectorate of Nabq. As a special and unforgettable experience we offer camel-dive-safaris to Ras Abu Galum in the north of Dahab. Whether you book a one day or an overnight trip this place will capture you with its magic and unique atmosphere. It is the perfect combination of camping out in the desert on the shores of the Red Sea, experiencing the Bedouin lifestyle and exploring some fantastic dive sites away from the crowds. The diving school program ranges from Bubblemaker for the youngest to Divemaster training for the ones who seek a career in diving. The air-conditioned classroom is situated on the first floor. Course languages are English, German, French, Russian and Dutch. The confined water training starts on the house reef in front of the center. 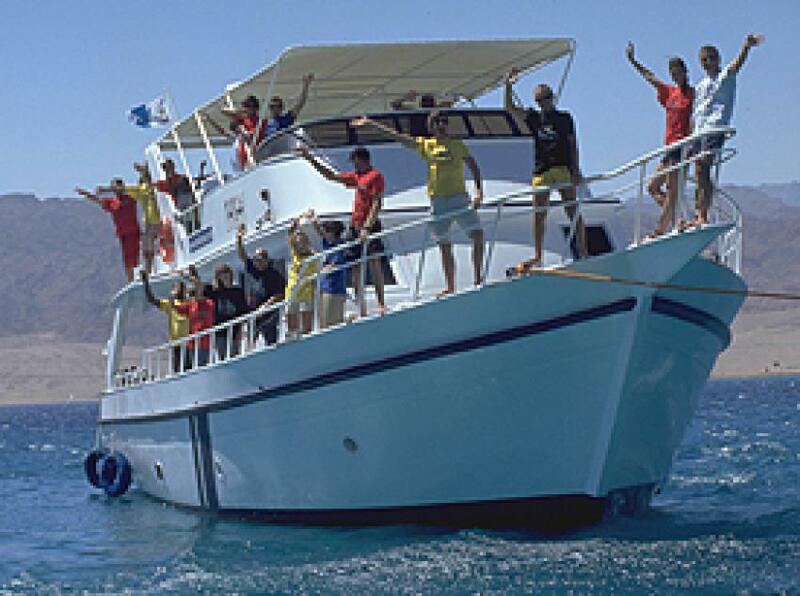 During the last day of the course the reefs of Dahab will be explored. All courses, introductory dives and check out dives are offered daily.